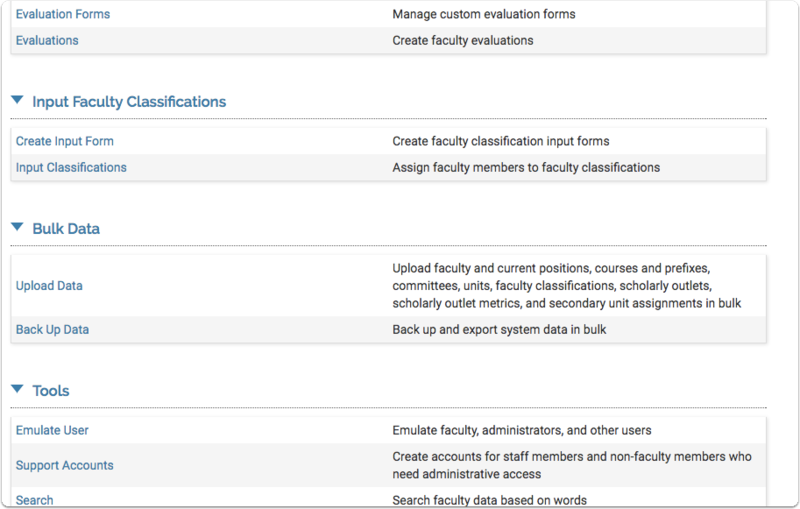 FACULTY180 allows administrators to emulate faculty and staff members to access information or to view FACULTY180 from their perspective. This is especially helpful for assisting faculty/staff members who have questions about using FACULTY180. In the Tools section, click Emulate User. The Emulate User screen displays. 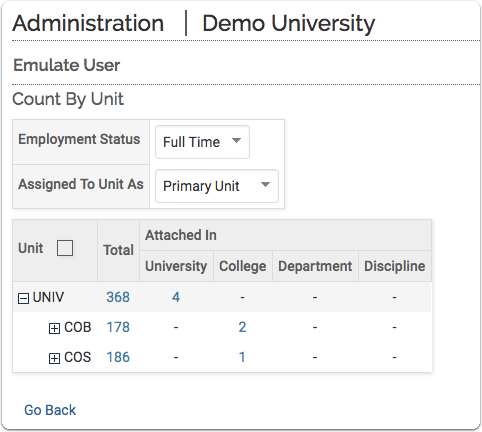 Locate the user you wish to emulate by using the filters in the Count By Unit section, then selecting the appropriate unit. The results display in the Search Names Below field. If necessary, use the search field to locate the desired user within the search results. Upon locating the desired user, click the user's name. A confirmation message opens. Click OK. You are now emulating the selected user. After the page loads, it should show the name of the user that you are emulating at the top of the screen in a red box. To exit the emulation, click Exit Emulation at the top-right corner of the screen.